Jeffrey Overstreet writes about art and culture at LookingCloser.org. His film reviews are published at ImageJournal.org twice monthly, and at Filmwell.org. 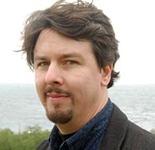 In the past, he has written for Paste, Christianity Today, and various other periodicals. He regularly lectures at universities and conferences around the country, on many subjects including Storytelling, Fantasy, Play, and Film Interpretation. He lives in Shoreline, Washington, and works as the contributing editor for Seattle Pacific University’s magazine Response. CLICK FOR MORE BOOKS BY JEFFREY OVERSTREET. The Auralia Thread — (2007-2011) Publisher: When thieves find an abandoned child lying in a monster’s footprint, they have no idea that their wilderness discovery will change the course of history. Cloaked in mystery, Auralia grows up among criminals outside the walls of House Abascar, where vicious beastmen lurk in shadow. There, she discovers an unsettling — and forbidden — talent for crafting colors that enchant all who behold them, including Abascar’s hard-hearted king, an exiled wizard, and a prince who keeps dangerous secrets. Auralia’s gift opens doors from the palace to the dungeons, setting the stage for violent and miraculous change in the great houses of the Expanse. 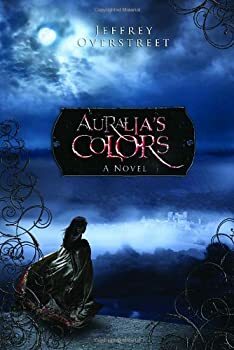 Auralia’s Colors weaves literary fantasy together with poetic prose, a suspenseful plot, adrenaline-rush action, and unpredictable characters sure to enthrall ambitious imaginations. Jeffrey Overstreet’s Auralia’s Colors is a bright, colorful fantasy debut. Painting with a unique palette, Overstreet tells the story — both heartening and tragic — of a young girl with a special mission of change. Auralia is an orphan found by a group of Gatherers, laborers who are indentured to the local Noble family, House Abascar. Living in this rough community she has a chance to grow up untainted by some of the attitudes prevalent in the Householder community that lives in direct contact with House Abascar. Jeffrey Overstreet's previous novel, Auralia's Colors, took us to a sublimely well-imagined land and introduced a cast of imaginative characters. 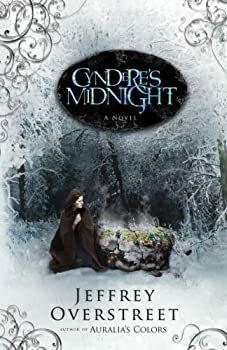 In Cyndere's Midnight, the story begins where Auralia’s Colors left off. Overstreet adds a few more characters and moves the plot several huge steps forward. Cal-Raven continues to grow in his magic as a stoneshaper and as a leader of fallen House Abascar. The remnants of his people are living with him in abject poverty as they attempt to survive the continued predations of the Beastmen of House Cent Regnus. It is a very bleak picture, but not hopeless.